This home offers one of the best views in the entire neighborhood! Tons of natural light. 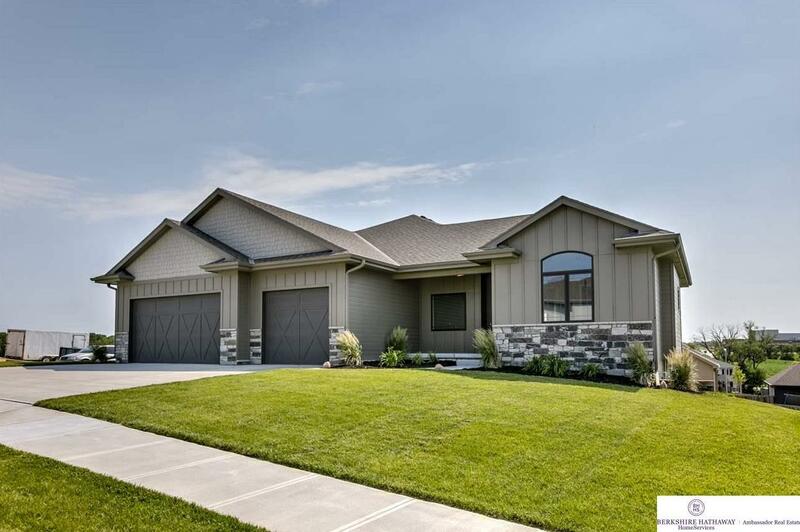 West facing walkout ranch w/custom finishes throughout is sure to impress! Elkhorn School District, in fact Elkhorn Valley View Middle School is in walking distance and Elkhorn South High School is just across 204th st. This amazing floor plan features a spacious living room that flows into the dream kitchen w/ beautiful cabinets, countertops, & walk-in pantry. Fabulous master suite has enormous closet which is open to the laundry room. 3 bedrooms on the main floor allows for a designated guest ½ bath. The finished lower level offers a full walk-behind bar for entertaining, very cool flooring, French doors, theatre room, exercise area, 2 additional bedrooms, a full bath, plus a 2nd laundry room! Truly amazing! 1601 S 207 Avenue (MLS #21903972) is a ranch/1.0 story single family home located in Omaha, NE. This single family home is 4,038 sqft with 5 bedrooms and 4 baths. This property was listed on 03/22/2019 and has been priced for sale at $465,000. Nearby zip codes are 68002, 68007, 68022 5213, 68116 and 68164. This property neighbors other cities such as Bennington, Elkhorn and Waterloo. Listing Last updated 03/27/2019 2:45 AM CDT . Some properties which appear for sale on this web site may subsequently have sold or may no longer be available. Walk Score provided by Walk Score. Mapping data provided by Google and Bing.